The finished one is a 52, and I grew up in that car, and the primed one is a 51. 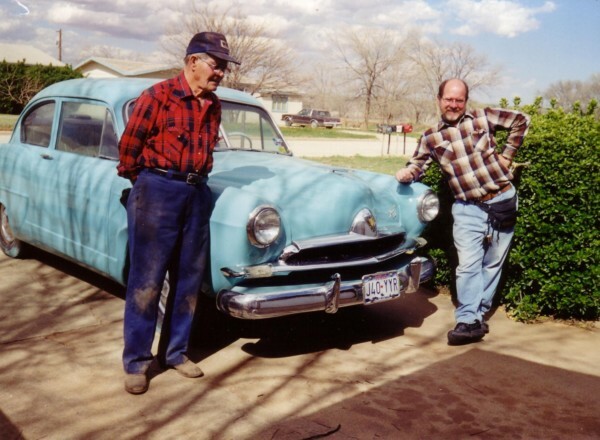 The 52 has been in the family for close to 50 years, I am 55, and @ 15, I was driving it all over west Texas. and my older sister was driving it 4 to 6 years before that. It has the 6cyl for an engine, & 3 speed with overdrive. It was a great car. It was only thing I ever drove, that would handle close to it was an Audi. And as a young boy, I wasn't to easy on it. Out grew out of it, or traded it back to my Father, for a large block Chrysler. It set quite a few years, and He restored it.